Wide awake in the middle of the night, we snacked on handfuls of Chex cereal and indulged in my favorite kind of conversation: “Isn’t it weird that…?” Little did we understand that our late-night conversation would set the theme for the week. 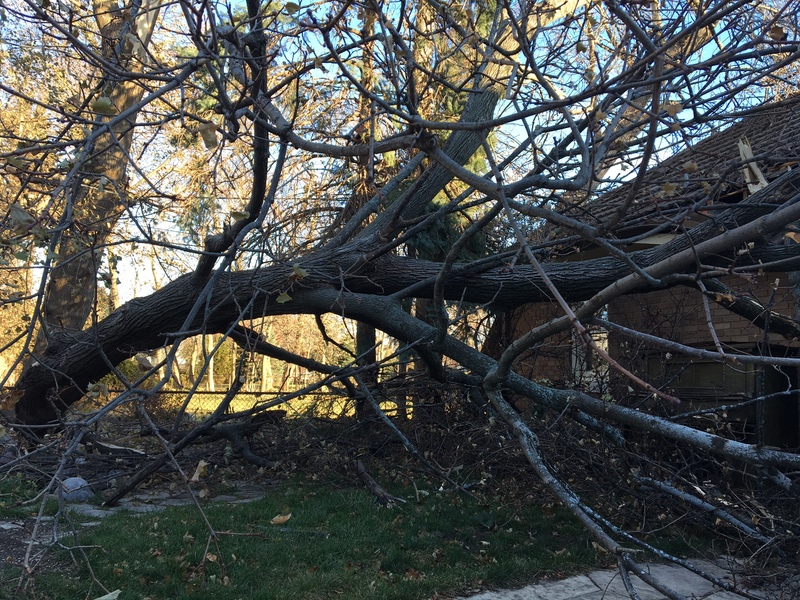 The next night high winds toppled our neighbor’s ENORMOUS aging maple tree into our backyard. The insurance company called it “an act of God.” It is a phrase implying no fault, no responsibility. It just happened. I laughed aloud when, immediately following the “act of God” designation, the insurance adjuster heaped on us a load of legal cautions, new responsibilities (the tree now ‘belonged’ to us), property line designations, and small print reminders meant to minimize financial risk and responsibility to the insurance company. The layers of irony are too many to count though I suppose if wacky preachers can assign responsibility for hurricanes and other natural disasters to the wrath of God, then it is no less ridiculous for insurance companies to invoke the fickleness of God to absolve themselves of liability. P-Tom reminded us that the “act of God” was that no one was hurt in the tree fall. For P-Tom the act of God was a kind of intervention. A few degrees to the right, a slightly different wind direction, and the tree would have landed on our bedroom. Life does seem fragile by the slightest of degrees. We told people that we were lucky. Intervention? Fortunate? Fate? Design? 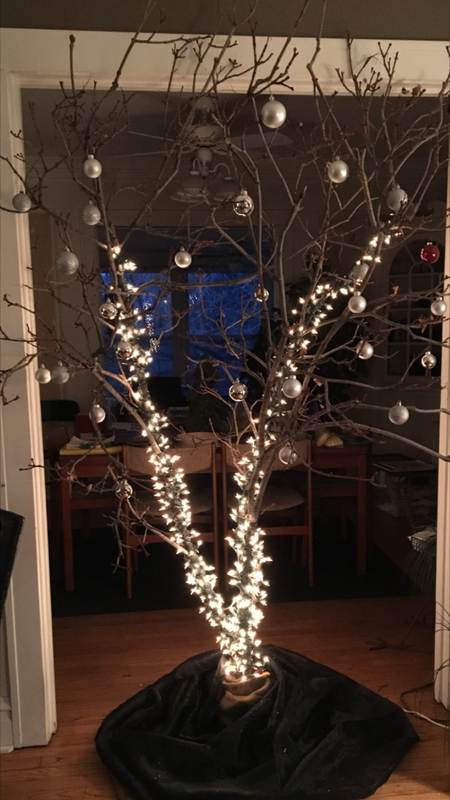 We cut a branch from the fallen tree and brought it in the house. It is now our Christmas tree. Had you asked that branch a week ago if it would ever become a Christmas tree it might have laughed at you. As a maple branch it had no aspirations or intentions of being wrapped in lights or decorated with silver baubles. In truth, it probably cares little if it makes us laugh or invokes a smile each time we enter the room. But it does. Or, better, we make sense of it that way. Sense making? Story telling? Either way.